TM24 Series — Designed for small bore threading applications. TM25 Series — Designed for standard threading applications. TM40 Series — Designed for long thread threading applications. TM41 Series — Designed for large pitch threading applications. KTMD-U Series — Designed for deep hole threading applications. 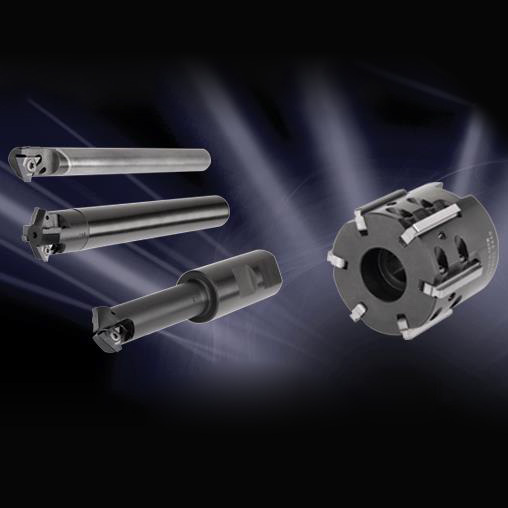 TMS Series — A proven solution and versatile Indexable Thread Milling product family. Kennametal offers multilingual software for tool selection and CNC programming of Indexable Thread Milling tools. Using the Kennametal Thread Milling system is easy, simple, and accessible on the web as well as standalone software. Using the software is easy. The user needs to enter the basic thread machining parameters and then follow the computer instructions, which will guide the user to the correct choice of tools for the job on hand. The final step in the process is a recommended CNC program for helical interpolation threading operation.